Resistance is the property of a material by virtue of which it opposes the flow of electrons through the material. It restricts the flow of electron through the material. It is denoted by (R) and is measured in ohms (Ω). When the voltage is applied across the resistor the free electrons starts accelerating. These moving electrons collide with each other and hence opposes the flow of electrons. The opposition of electrons is known as the resistance. The heat is generated when the atom or molecules are colliding with each other. Where R is the resistance, V is the voltage, and I is the current in the circuit. 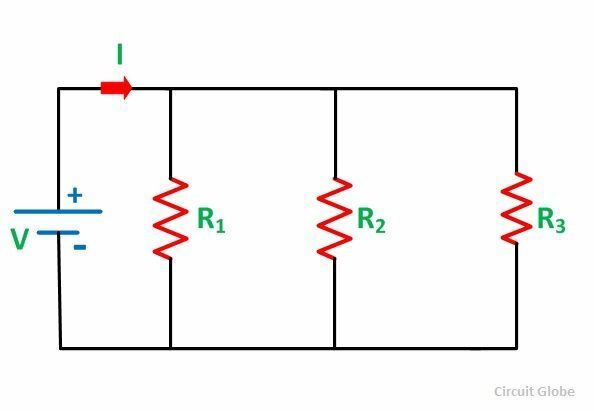 The resistance of any conducting material is directly proportional to the length of the conductor and inversely proportional to the conductor’s cross-sectional area. Resistivity (ρ) is defined as the ability of the conductor or the material to oppose the electric current. The resistance of any conductor is measured by the instrument known as Ohmmeter. The above equation (6) shows the equation for energy loss in the form of heat. It is similar to the normal resistance of the circuit given as R=V/I. It determines the power dissipation in an electric circuit.It is also defined as the slope of the line from the origin through various points on the curve. 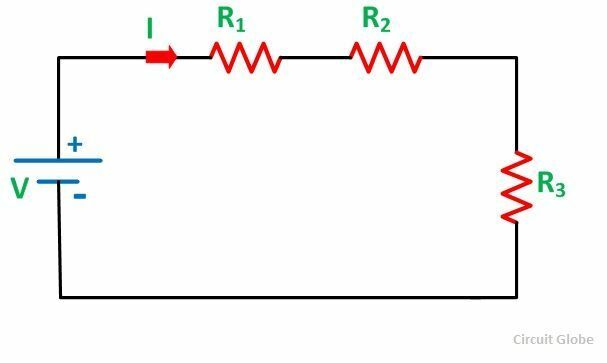 The various resistances suppose R1, R2, R3 are connected in parallel with each other as shown in the circuit below is known as Parallel Resistance Circuit.